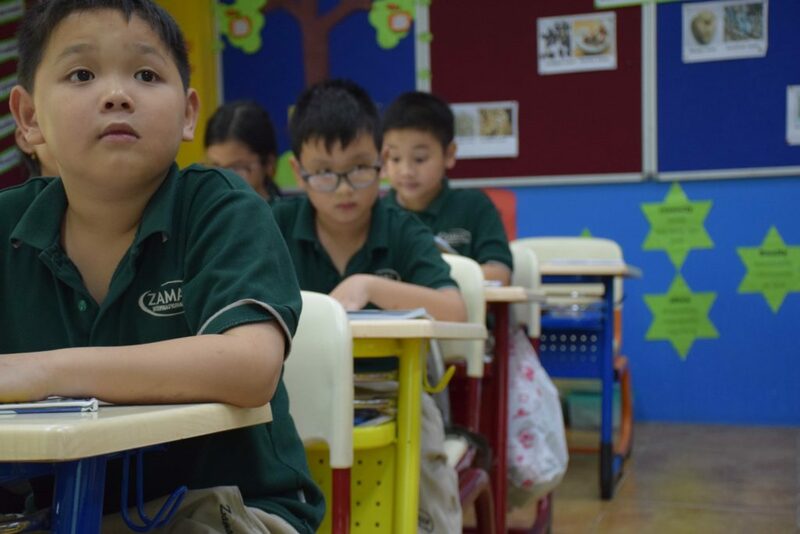 Spacious fully equipped and air-conditioned classrooms. 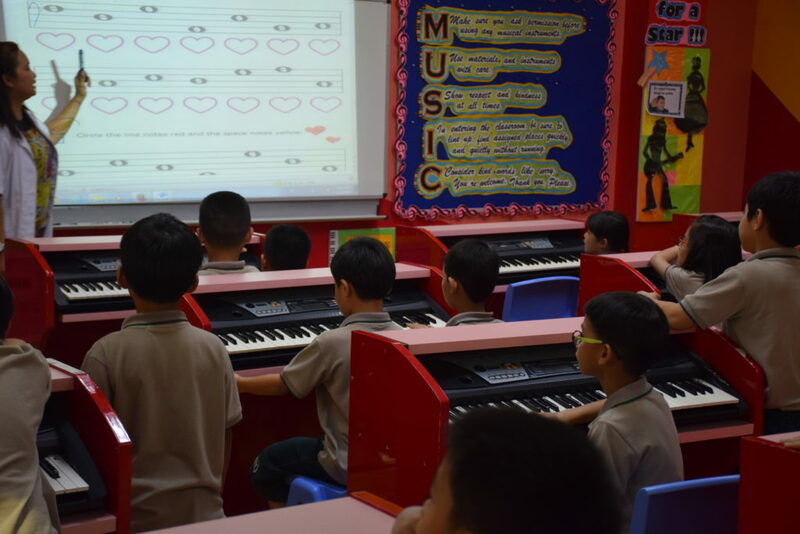 Each class has got an up to date computer linked to the school’s network system with the internet access. A projector connected to the computer and electronic board used in the class for multimedia purposes and teaching lesson with graphics such as online demonstrations, educational software, application of educational videos and online lessons so that the students can listen to and see the explained topic. The touch-sensitive interactive whiteboard is connected to the computer and digital projector to show the image. Teacher can control computer applications directly from the interactive whiteboard. The science laboratory is situated on the first floor and is fully equipped with workbenches and up to date equipment. The science laboratory has got an up to date computer linked to the school’s network system with the internet access. A projector connected to the computer used in the laboratory for multimedia purposes such as online demonstrations, science software, application of science videos and online lessons so that the students can listen to and see how science work. 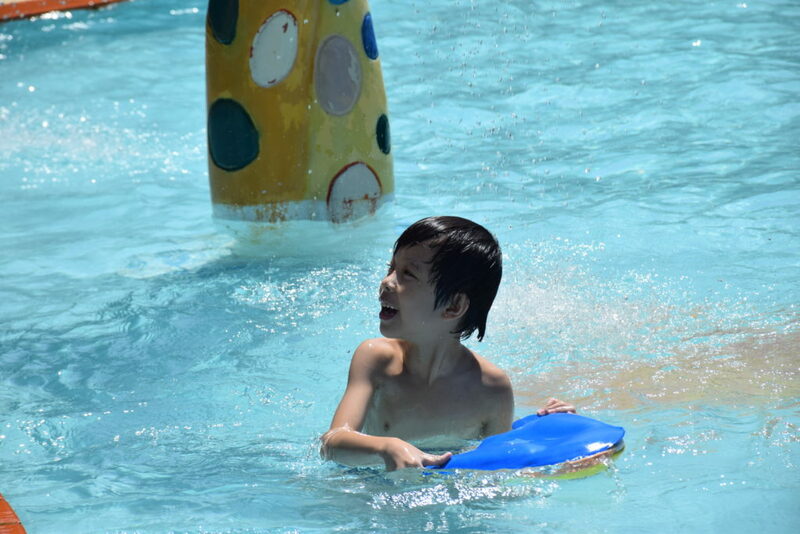 The swimming pool is built especially for children with 120 cm deepest point, located on the ground floor. The swimming pool is regularly checked and cleaned by our staff for health risks. Children are always supervised by swimming teacher, teachers and assistant teachers during lessons as safety precautions. The Computer Room is equipped with up to date Apple computers. 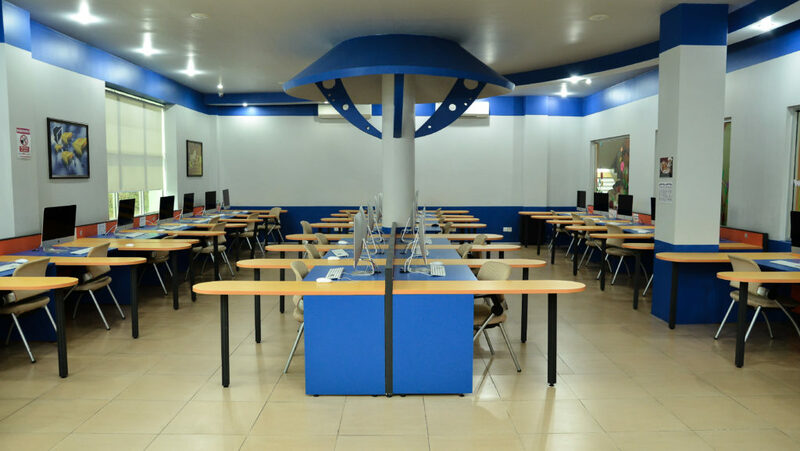 It also has individual workstations for students, a network system linking all the computers in the Computer room. All computers have the internet access. The student computer ratio is 1:1. 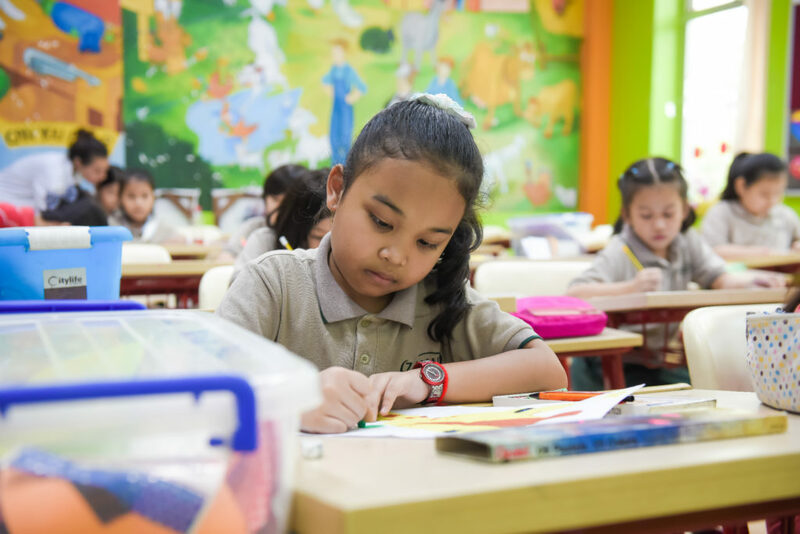 Air conditioned spacious art room with specially designed drawing desks has been established to let the students work more comfortably. 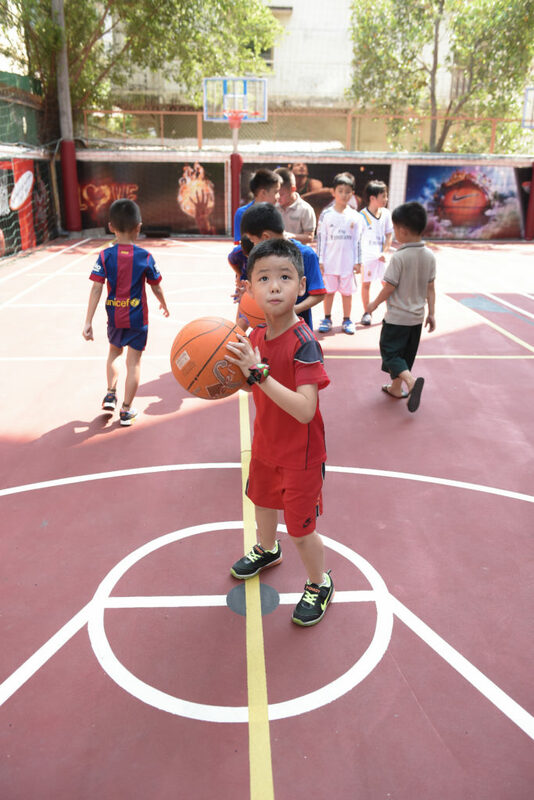 There are outside play areas where students can play games such as hide and football, badminton, basketball, table tennis etc. during the breaks and PE Classes. The music room is on the first floor and contains various musical instruments.